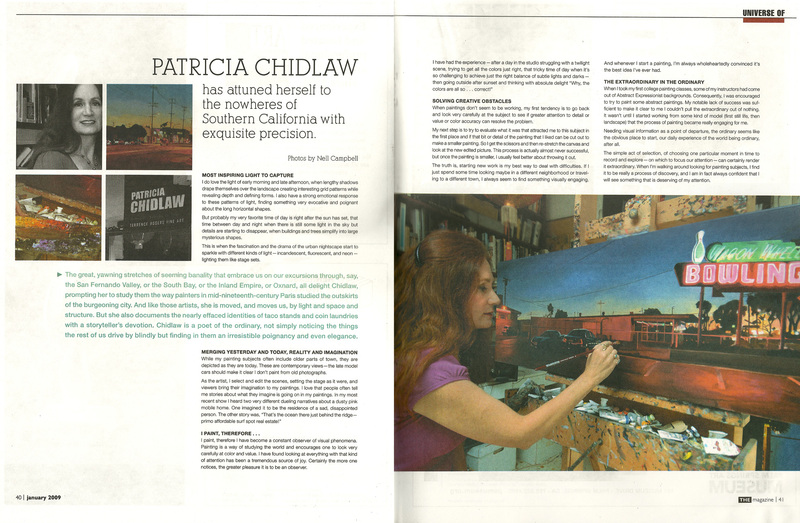 UNIVERSE OF Patricia Chidlaw, THE magazine LOS ANGELES, January 2009. Illustrated. Christensen, Judith, Review, ArtScene, December 2008, Illustrated. Mahler, Richard, Pool Party: Six California Artists Talk about their Attraction to Swimming Pools, Southwest Art, July 2004. Illustrated. Zone, Ray, Review, ArtScene, December 2004, Illustrated. 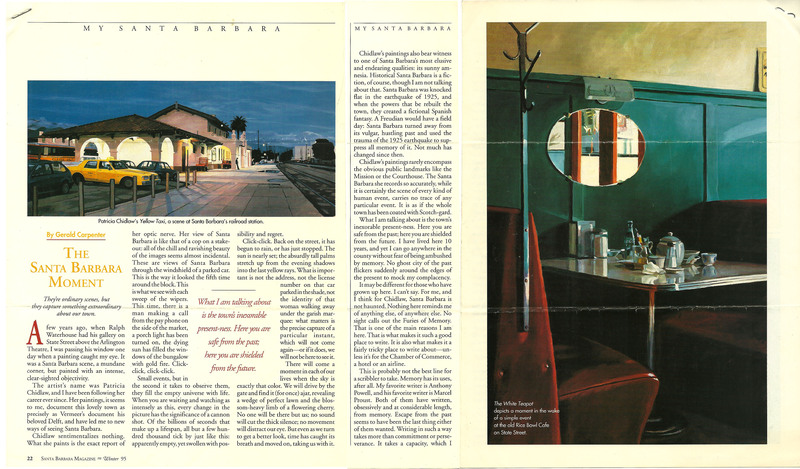 Gangelhoff, Bonnie, Vanishing America: Patricia Chidlaw Finds Beauty in California's Nostalgic Urban Scenes, Southwest Art, January 2002. Illustrated. Woodard, Joseph, Insights from the Sidelines, Santa Barbara News-Press, August 16, 2002. Illustrated. 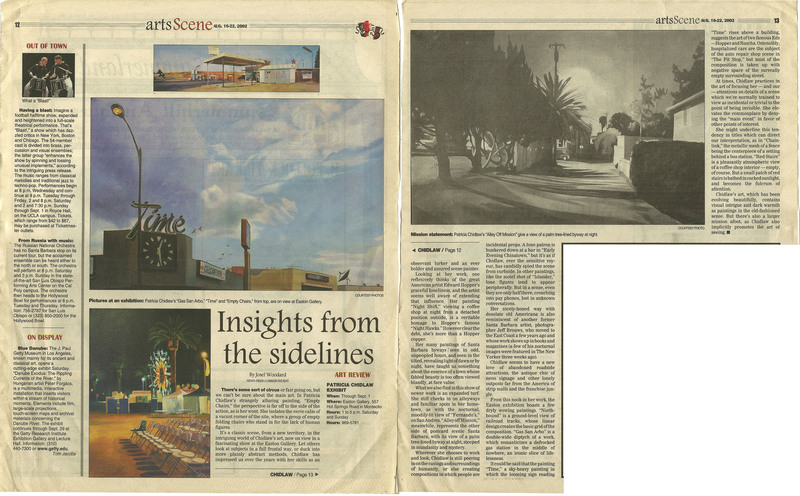 The Angels Beckon: Santa Barbara Artists Emerge in L.A., The Santa Barbara Independent, July 12, 2001. Illustrated, cover and inside. Christensen, Judith, Review, ArtScene, February 2000, vol. 19, no. 6. Illustrated. 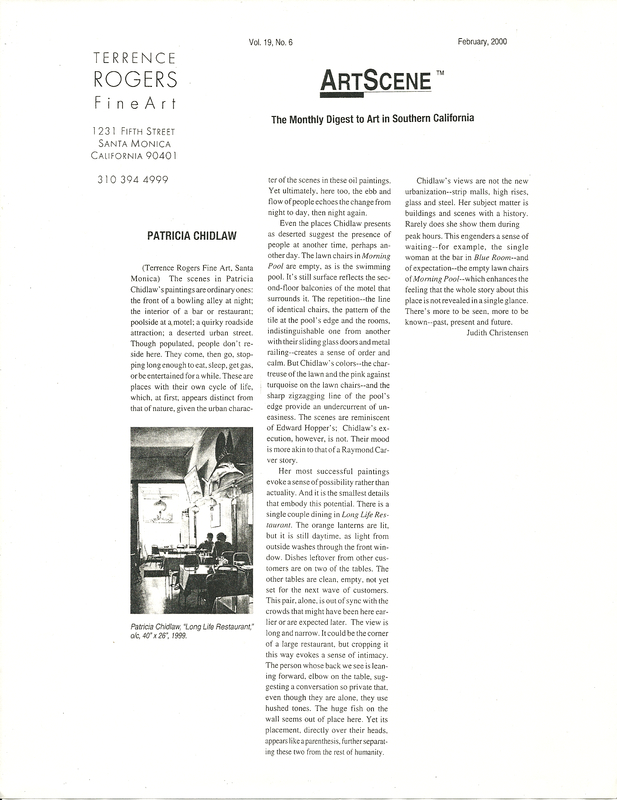 Pulkka, Wesley, Contemporary Realism: A New Twist on Tradition, Southwest Art, March 2000. Illustrated. 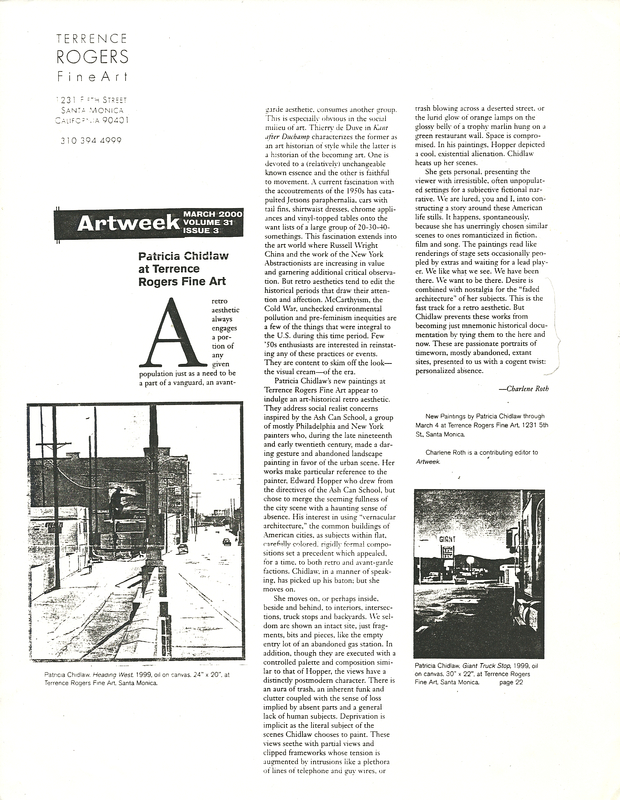 Roth, Charlene, Review, Artweek, March 2000. Illustrated. Carpenter, Gerald, The Santa Barbara Moment, Santa Barbara Magazine, Winter 1995. Illustrated.